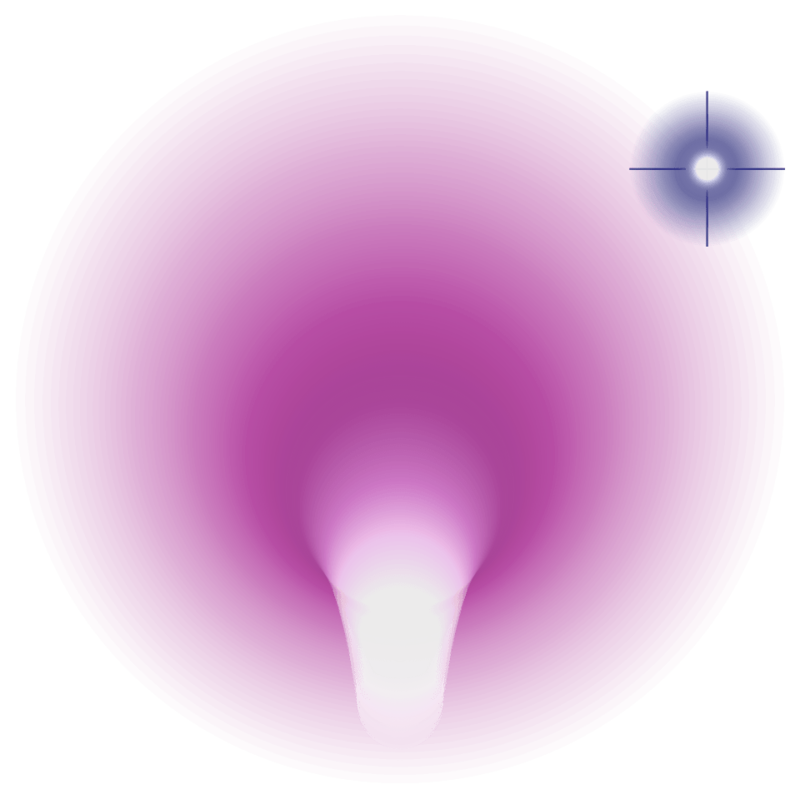 What do the Sydney Opera House, the Human Papillomavirus and the following model of artificial life have in common? The history of artificial life has been a long one, and few would argue that it originated with the Hungarian-American mathematician John von Neumann (whom you may recognise for his research in game theory and axiomatic set theory, development of the atomic bomb and the design of the modern computer). He first proposed a kinematic model, equipped with wheels, motors, joints et cetera, but then moved away from this in favour of his more abstract model of cellular automata. To win a pint of beer in a pub in 1968, the computer scientist Edgar Codd created a spectacularly simpler self-reproducing cellular automaton, with just eight states (if you’re unfamiliar with cellular automata, think of these as analogous to different types of elementary particles) instead of the twenty-nine states of von Neumann’s model. The size of a self-reproducing machine was still very large, with the first explicit example being Tim Hutton’s implementation of Codd’s self-replicating computer. Update (late 2018): I wrote a sequel to this post announcing the construction of an analogous loop-like replicator in a 2-state automaton, Conway’s Life. 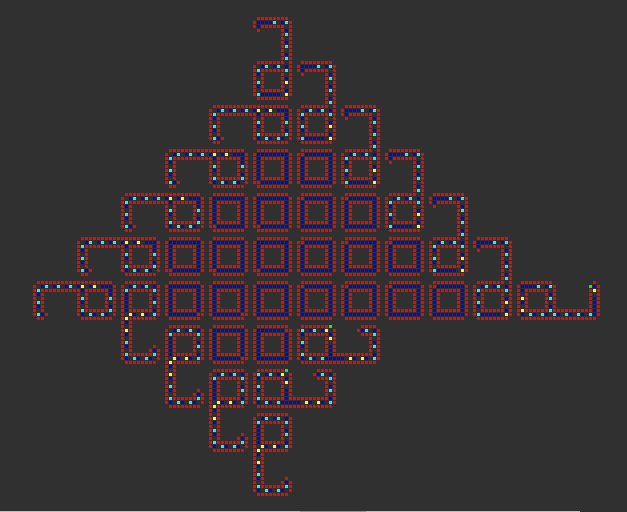 Unlike Langton’s Loops, these loops are programmable and can send signals to each other to determine how the colony grows. One of the many beautiful aspects of Langton’s loop is that the same genome is expressed four times, exploiting the symmetry of the square loop to reduce the length of its representation to a sufficient extent that it fits within the loop. This is precisely reflected in nature by a variety of viruses including Herpes simplex and the Human Papillomavirus, both common sexually-transmitted infections. The virus has chiral icosahedral symmetry, which means that its protein coat (or capsid) is composed of sixty congruent copies of the same fundamental region. The papillomavirus actually goes one step further, in that each fundamental region is constructed from an irregular arrangement of six copies of a single protein, called L1. In other words, the protein coat of this virus self-assembles from 360 identical parts. More details about the specific geometry are on ViralZone. Of course, the virus itself only needs to have instructions for constructing a single copy of the L1 protein, a ‘subroutine’ that is executed 360 times in the construction of the capsid. This means that its genome can be really small compared with the size of the capsid — indeed, small enough to fit within it. In addition to the gene for the L1 protein, the viral genome encodes proteins for DNA replication and for attacking our P53 protein (used for repairing DNA and preventing cancer) to leave our DNA vulnerable to modification. 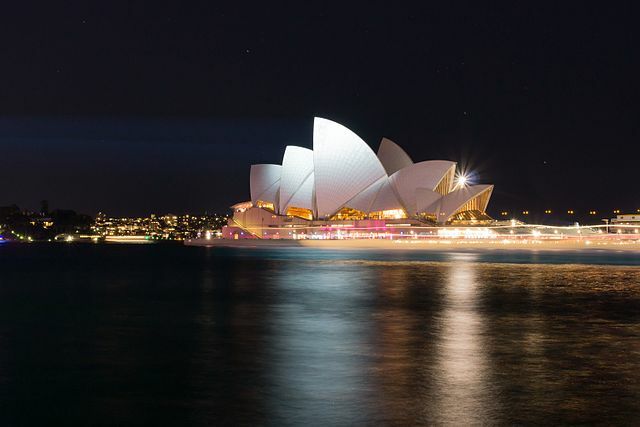 One of the most famous examples of modern architecture, the Sydney Opera House was designed and built over a sesquidecade by the architect J∅rn Utzon. Image courtesy of Kazuhisa Togo. The roof was originally meant to be composed of parabolae, but the construction costs would have been phenomenal. Utzon’s solution was to instead give all of the roof segments a constant Gaussian curvature, i.e. to make them sections of the same sphere. This meant that, like the Papillomavirus capsid, it could be made from many identical subunits produced in a single mould. 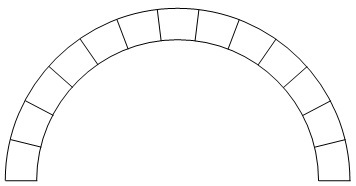 Indeed, in aqueducts such as the Pont du Gard, the arches themselves form monomers, which are repeated many times along the length of the aqueduct. These are also arranged symmetrically, but with an infinite translational symmetry group instead of the finite rotational symmetry groups observed in Langton’s loops and the Human Papillomavirus. 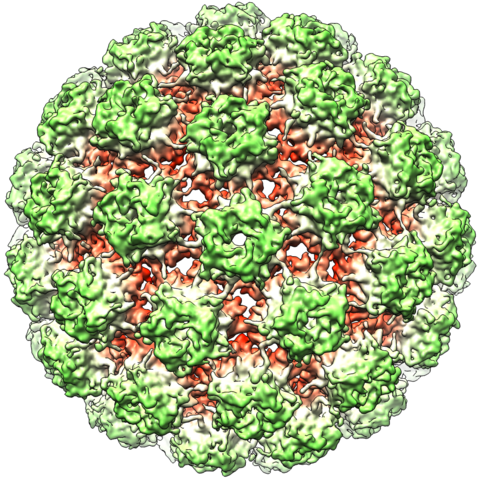 Viruses can also have capsids arranged according to an infinite symmetry group, as in the case of the helical tobacco mosaic virus. Both this structure and the more familiar icosahedral structure were predicted by Watson and Crick, who theorised that viruses must have many identical subunits arranged in a symmetrical fashion.